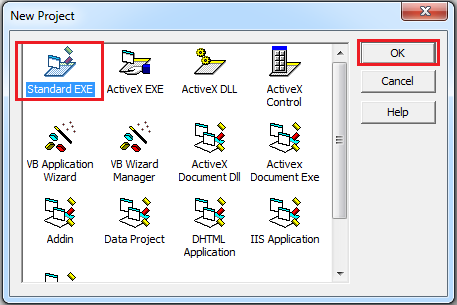 Create New Standard EXE project. 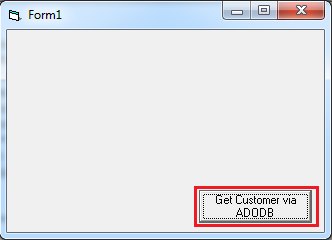 sConnectString = "DSN=QuickBooks Data;OLE DB Services=-2;"
sSQL = "SELECT top 10 Name FROM Customer"
Now we will add ADODC control in the same project which we created in above ADODB example. 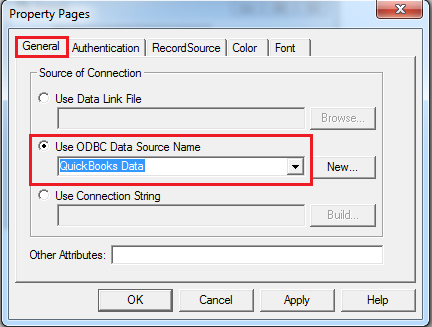 From the General tab, Select ODBC Data Source QuickBooks Data. 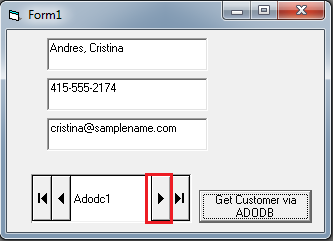 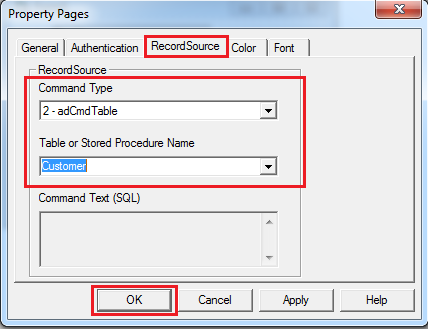 Navigate to RecordSource tab, Select Command type to 2 - adCmdTable & table name Customer and click OK.
Now we will add three text box which will show Customer table data through ADODC control. 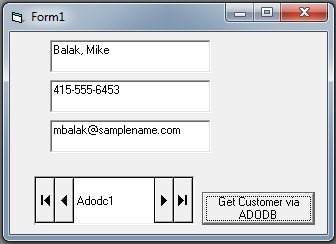 Same way we will configure other two textboxes with Phone & Email field. 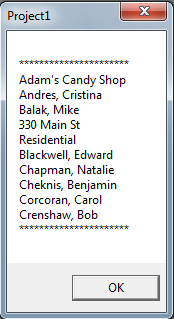 By clicking on "Next" button, next customer data will be displayed.